Flaska glass water bottles are BPA-free, re-structure water, leak-proof and available in several beautiful designs. Fit perfectly into a yoga lifestyle. The Flaska Jeans water bottle is the ultimate glass yoga lifestyle water bottle. Structures water and with protecting design sleeve. 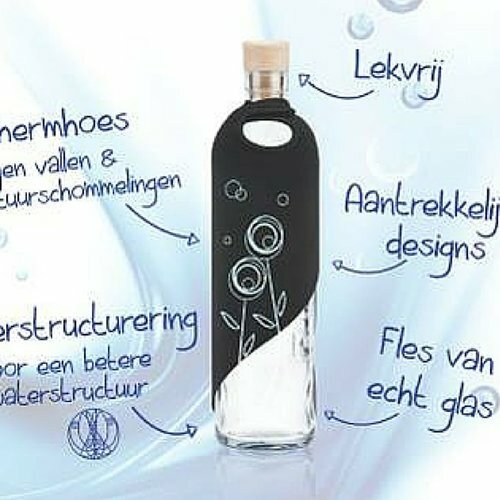 The ultimate glass water bottle by Flaska that structures water in a beautiful design protective sleeve. Perfect for in a yogi lifestyle. Hydration YogaHabits!